← Are you one of our prizewinning Malagacar.com fans? After that week driving round in the Focus, I knew right then and there that this motor was a game changer. It’s no wonder it’s been voted the world’s most popular car for years on the bounce, so if you’re looking for a better family hatchback for your Malaga holiday, then I think you’ll struggle to find one. Appearance wise, it’s a very handsome thing to behold. In its current guise it’s a bit grown a bit long for my tastes, but even so, it wouldn’t look out of place cruising round the hot spots of Marbella. That said, you might struggle to come away unscathed from some of the fabulously quaint old towns, but this is one of the reasons why the Focus is so popular. The interior space is simply cavernous. As a family of four including a toddler, we certainly don’t travel light. With the cases, car seats and a buggy, we joke that a minibus would probably suit us more, but we’ve spent a very comfortable two weeks travelling around Andalucia in the Focus. Drive wise, it wouldn’t be a cliché to say the Focus drives like a dream. Its engine is smooth, yet provides the necessary grunt when needed. It rarely feels like it’s struggling with a climb, and the gear change is like silk. Honestly, you could drive this car half way across Spain and barely notice. Plus, once you get there, you’ll have a huge smile on your face. 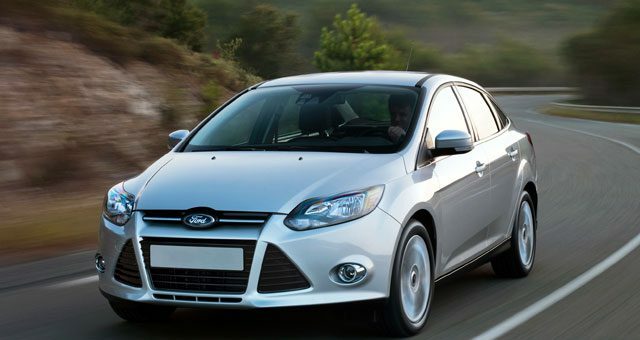 Importantly, it seems that the Focus never forgets it’s a family car and boasts a range of features that are important to drivers who have at least one eye on the budget. Along with all the space inside, everything is made from materials that last, from the interior fabrics to the dashboard display, it’s a sturdy, reliable feeling motor that is a surprisingly nice place to sit. Economy wise, it takes surprisingly small sips of juice for a car this size. We collected our Focus with half a tank, put in some good miles driving along the coast, and it was a good week before we had to top up.